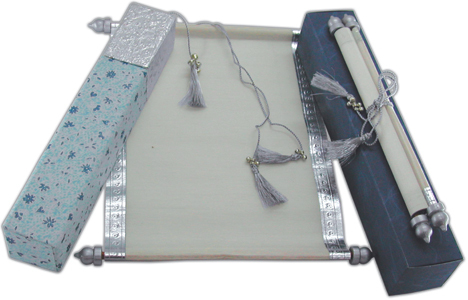 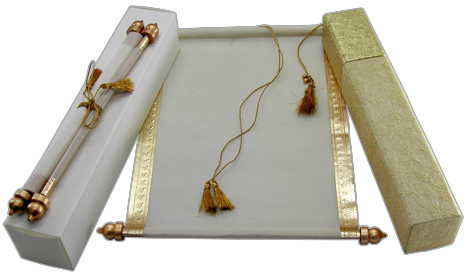 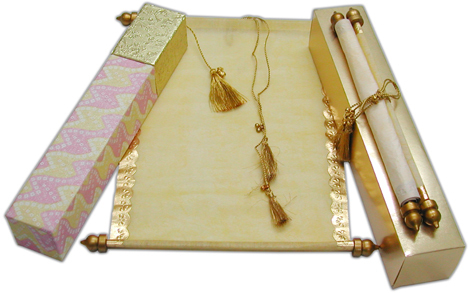 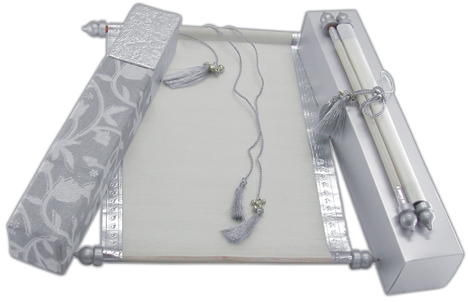 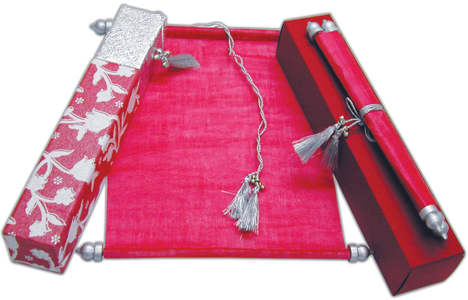 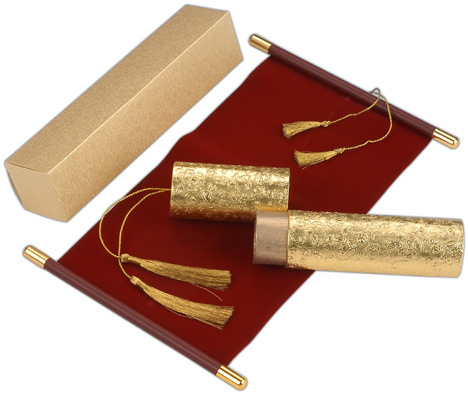 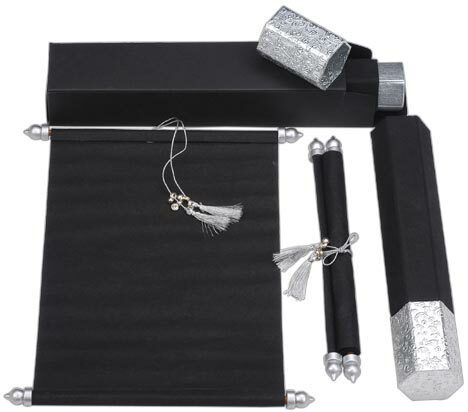 The box holds the wooly paper scroll invitation and is tied with silver tassel. 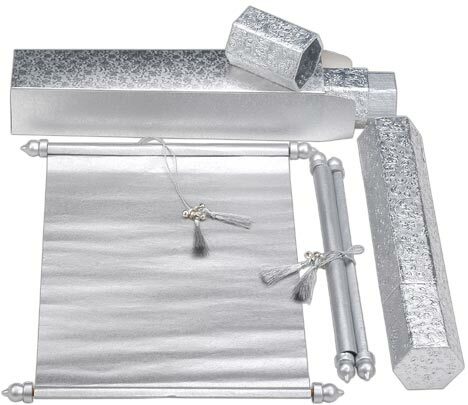 The lid is silver The mailer box holds everything. 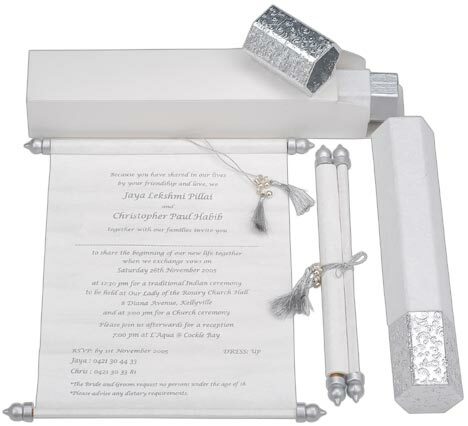 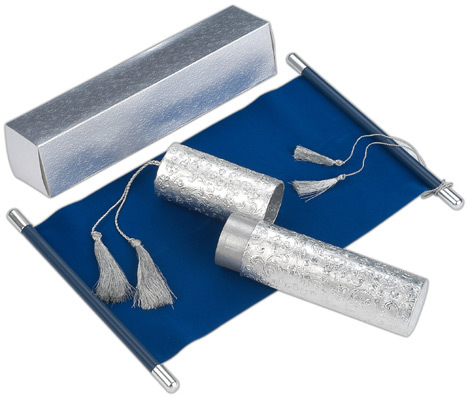 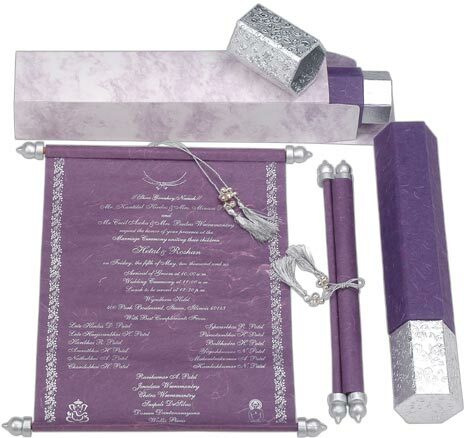 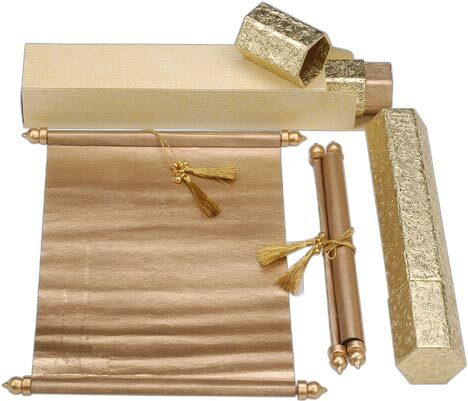 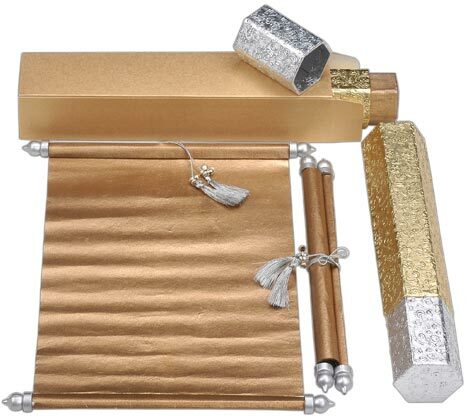 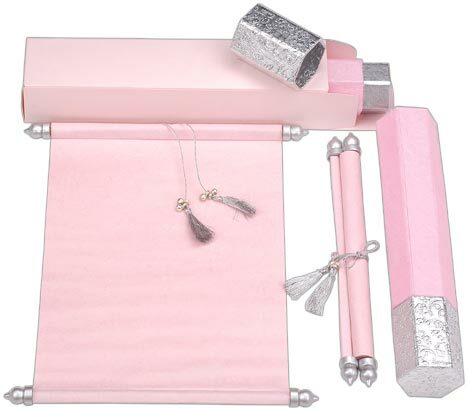 The box holds the wooly paper scroll invitations and is tied with silver tassel. 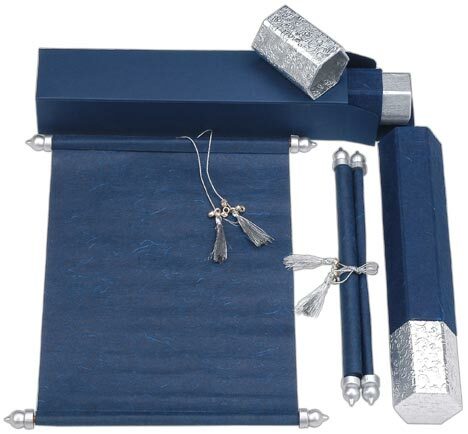 The lid is silver The mailer box holds everything.